NEW ! - Three unrooted cuttings of 6-8 cm. 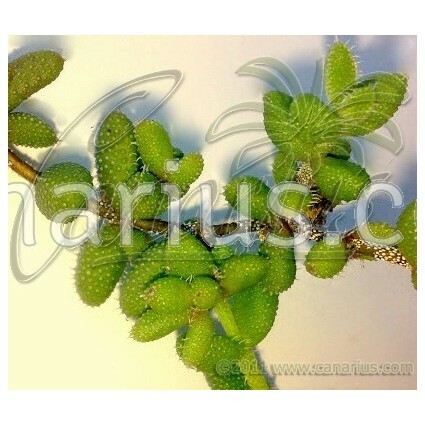 beautiful, unusual succulent leaves, densely covered in glossy translucent "hairs". These are visible adaptations to catch moisture from fogs. Unique plant with unusual leaves: a small spreading shrub from South Africa. 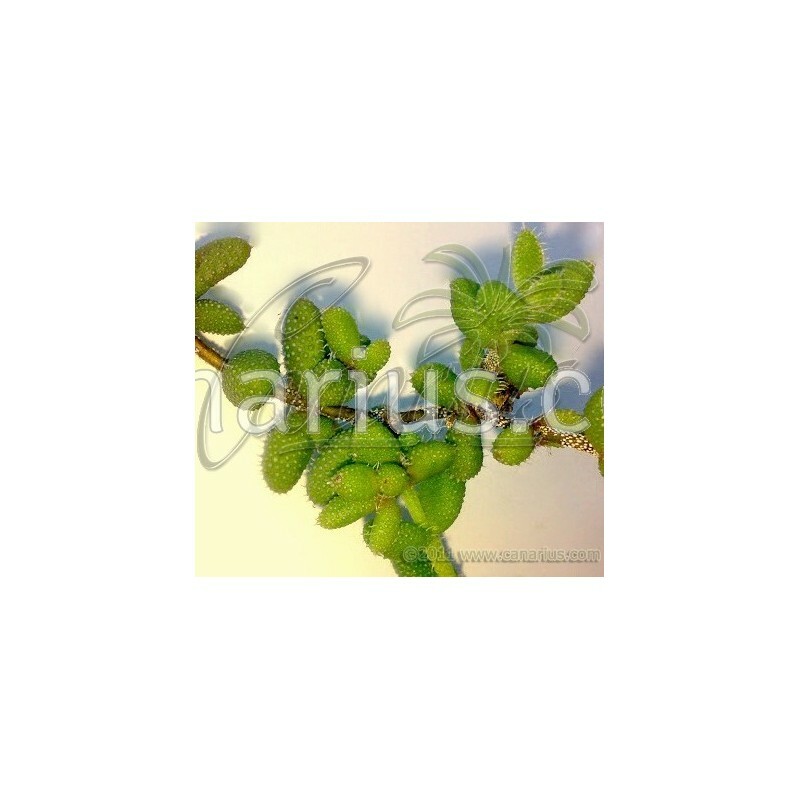 The thin stems hold pairs of beautiful succulent leaves, densely covered in glossy translucent "hairs". These are visible adaptations to catch moisture from fogs in an otherwise desert habitat. Nice yellow flowers. This mesemb is easy to grow, it mostly grows in summer but it can be watered sparingly during the whole year. It grows to perfection in warm Mediterranean climates, but it is tolerant of a wide range of conditions. It prefers full sun but it can be placed in half shade during the summer months or in subtropical or tropical areas. It can take light frosts, but it is better kept above 5 C to avoid fungal problems. It grows very well in pots, filled with a drained soil mix with sand or grit. It is also used in succulent gardens in frost free areas.